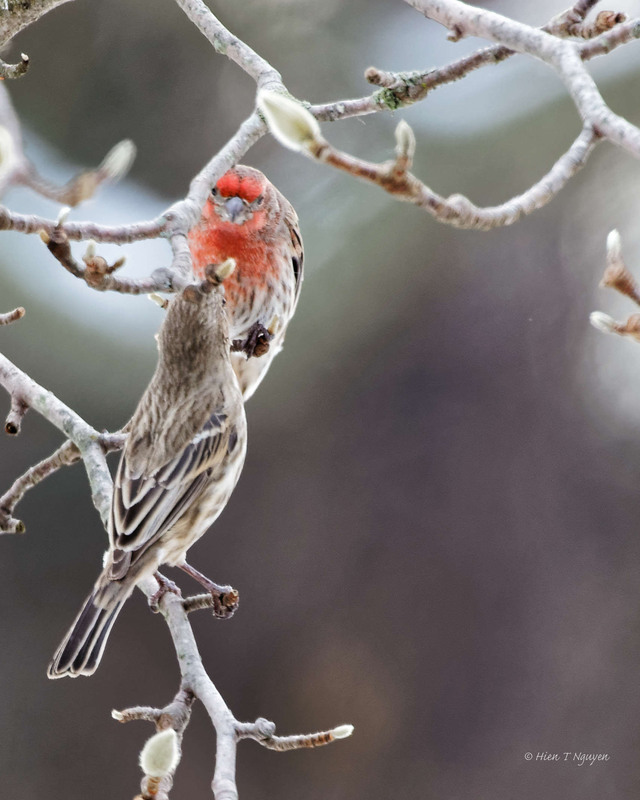 A female House Finch snatched a sunflower seed from the feeder and flew to join her younger ones on a branch of the magnolia tree. Curious as to why she would not eat it right away, I soon found out. House Finches. Juvenile male demanding his food. 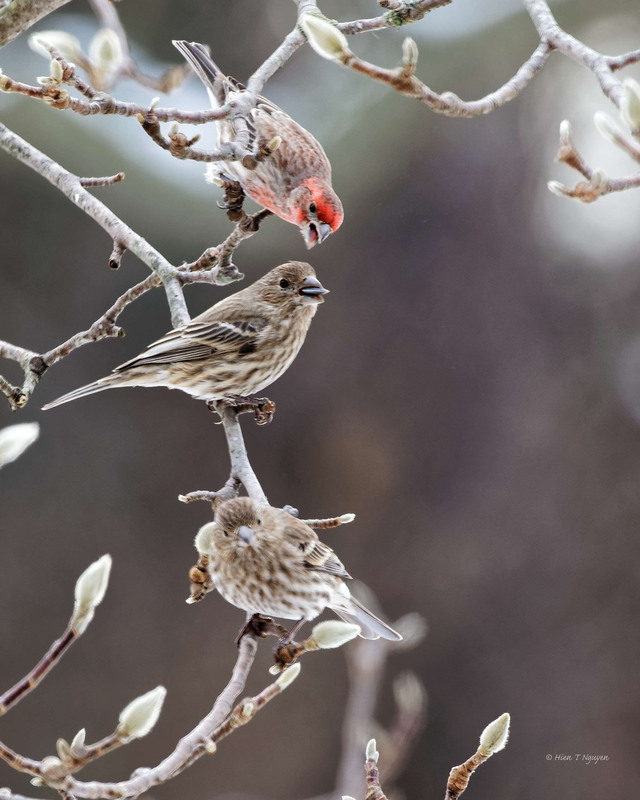 House Finches. She gave it to him. I think it’s time to come over your place again and enjoy all the magnificent bird and nature photos you share with us,dear Hien. Thank you very much Doda! 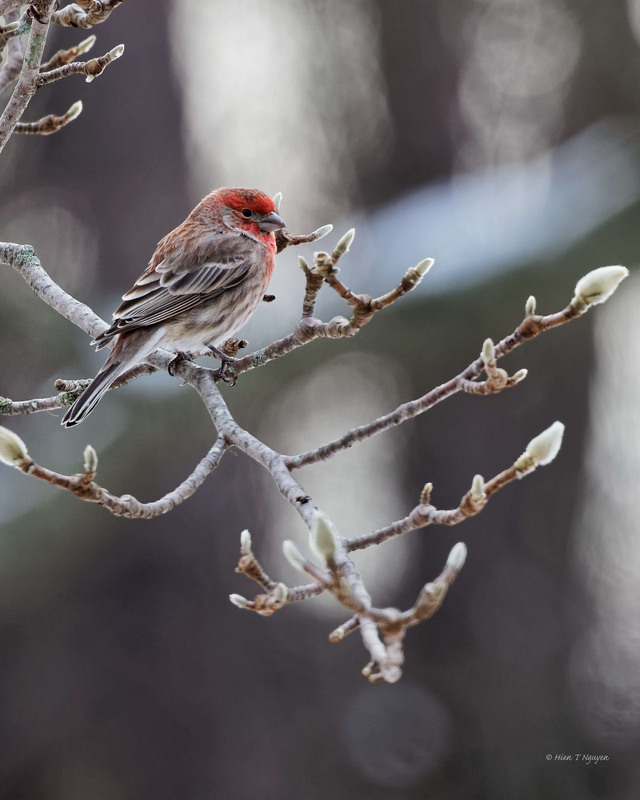 These are some of the nicest House finch pictures I’ve seen – I love the way the background gives that cold, wintery feeling. I am amazed that a female is feeding a full grown male at this time of year! Crazy, no? Maybe that male is just a big baby! 🙂 Thank you for commenting! Beautiful and cute series, Hien! Loved opening your post Hien, awesome series of these beautiful finches. Actually they are stunning, so close that could reach out and feel them. Really wonderful work! Thank you Mary! I’m happy that you like these photos. I wonderful series showing the adult feeding the youngster, but it seems awfully late in the season for her to still be feeding him. Although, I’ve seen cardinals feed their young all through the entire first winter for their young. Jerry, I was surprised too. The House Finches appeared out of nowhere, and there were many of them. Like you I was surprised that parents were still feeding their children this late in the seasonn, but I am no expert on them. 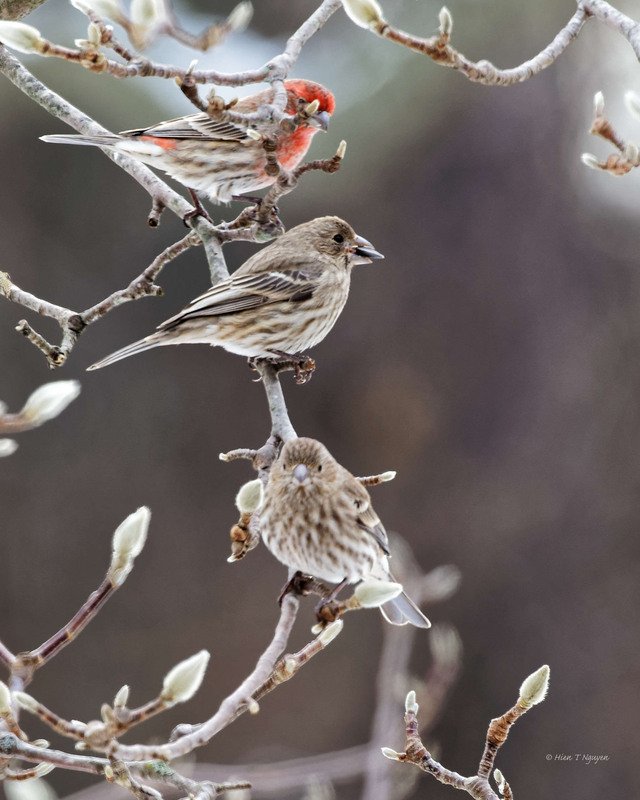 Those shots of the three finches on that branch are just perfect. The magnolia buds just add to the charm. Thank you! Glad you like these photos. Winter can be a difficult time to find food. Great photos. Thanks Jim! In the wild, it can be even more difficult. That’s why birds migrate, if they can. These are marvelous shots. The contrast is perfect.